Selling a home in a seller's market is far different from selling a home in a buyer's market. If you are lucky enough to be experiencing a seller's market in your area, it is indeed a fabulous time to sell. Not only will your days on market be remarkably fewer in a seller's market, but you might receive multiple offers, which could drive up the sales price. It's generally a good idea to take advantage of pent-up demand because it's the demand that drives competition. The larger number of buyers for your home ought to increase the odds you'll make more money. 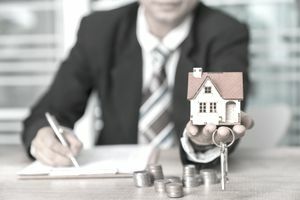 Some homes, especially those referred to as unique homes, meaning homes that can be difficult to sell in any real estate market, will generally stand a better chance of selling as well in a seller's market. Further, in some seller's markets, the number of homes for sale might be few and far between. If there is not much to choose from, the nicest homes will attract the most attention. But the ugly homes will sell, too, simply because there is very little for sale. Prepare the home for sale. This may or may not involve home staging, but it absolutely should include cleaning the home from top to bottom. Buyers will overlook small defects in a seller's market because there are not enough homes on the market — they have no choice. Your home will sell faster with new carpeting if the existing carpeting is worn, but generally, bad carpeting will not stop a buyer's desire in a seller's market. In fact, you might want to limit carpeting to the bedroom areas and consider a hardwood look elsewhere. Go on the market on a Friday. Friday is the best day of the week for home selling. A good strategy is to set listings to "go live" on Thursday night at midnight so buyers will discover them among the new listings when they get up Friday morning. All the photos are color-corrected and perfected to make the online presentation sizzle. Don't forget to upload a virtual tour, if the home lends itself, and release digital ads to Facebook and other websites. Limit showings might work. People tend to want what they think they can't have. Don't allow tours of your home at all hours of the day — restrict the hours and the days. This will force some buyers to tour when other buyers are also present, which should spark a competitive nature. Lower the sales price. If you set the price a hair under market value, this will attract more buyers. It also will leave some wiggle room for buyers to begin bidding over the asking price. It isn't necessary but is a strategy that works well in some markets. Do not set a time for offer presentation. If you let buyers know that you will review all offers on a certain day at a certain time, guaranteed, you will lose some buyers. Buyers do not want to wait to find out if their offer will be accepted. There is also a large pool of buyers who will say they do not want to be involved in multiple offers. By the time they find out, it's too late — they're already involved. Some buyers will try the strategy of playing to the seller's emotions: sending photographs of themselves, often including their pets or their children. They might write letters to the seller, talking about why they want to buy the home and sharing a bit of personal information. Are they real letters, though? Or are they copied from the internet? Don't fall into this trap. Usually, the seller can find an acceptable offer among the multiple offers. It is not always the highest offer but if it is financed, it is the offer the seller believes is sufficient to meet the buyer's lender's appraised value. If the home does not appraise, it generally doesn't matter how much more the buyer offered. It needs to appraise because not every buyer is willing to bridge a deficient gap in an appraisal and pay a lot more than market value. Does a Failed Sale Mean There Is Something Wrong With the Home?